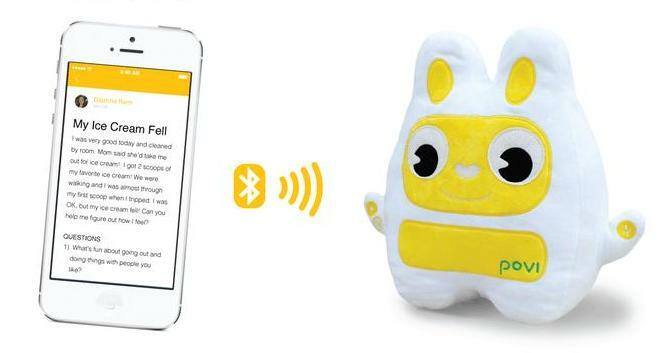 15 High-Tech Gadgets for Kids. 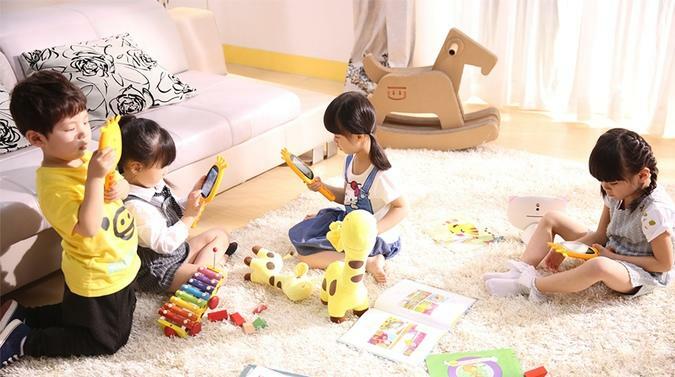 Collection of 'High-Tech Gadgets for Kids' from all over the world. 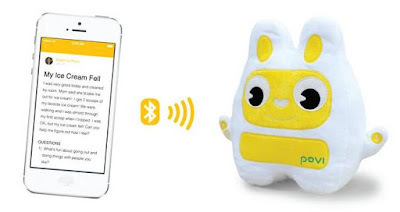 Povi: Povi is a smart connected storytelling toy designed for kids 3-8 years old that tells stories to your kids and provides step-by-step approach to building emotional intelligence. Use its app to download new content based on age and interest and ratings. It provides a perfect setting for the kids and parents to discuss emotions. Reserve Now: $45. Octopus: Octopus is a symbol-based watch that teaches kids good habits and the concept of time. It's designed for kids who don't yet understand time; so it gives symbols that young kids can actually read and understand. 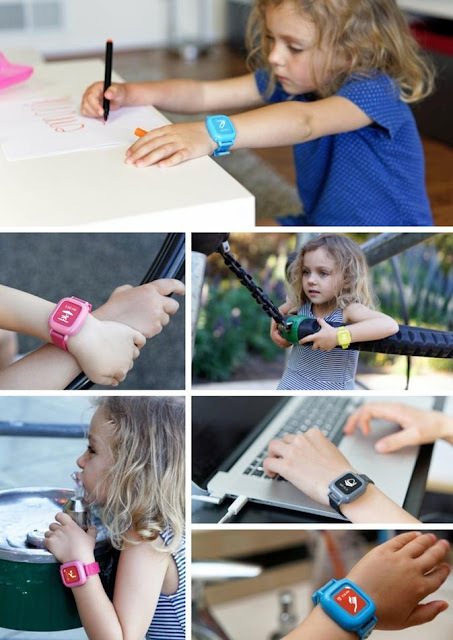 You can program visual reminders from your smartphone that shows up on your kid's watch. It assists you, lets you prioritize expectations and stay consistent with daily routines. It also provides tips, personal notes and reminds you to remind your kids. Reserve Now: $59. 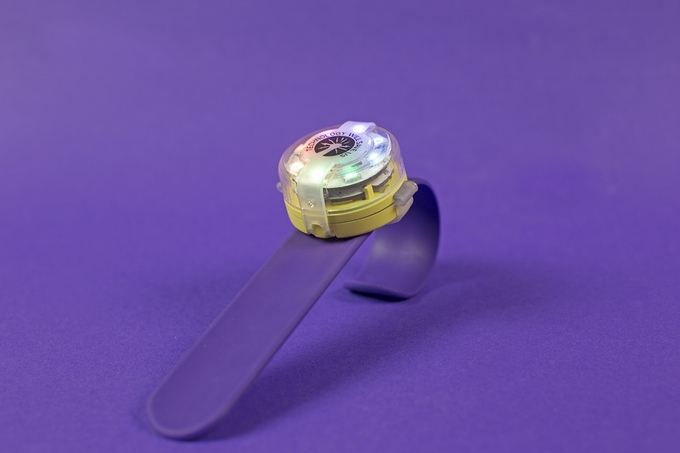 Mover Kit: Mover Kit is a smart educational wearable device that kids can make and code themselves. It teaches them fundamentals of electronics, programming and solve problems creatively. It features accelerometer, magnetometer, multiple lights, Mover board and more. Pre-order: About $74 (£50). Miraffe: Miraffe is a smart toy based on artificial intelligence (AI) that integrates with augmented reality for kids. It gives all the answers that your curious kids wants to know in an interactive manner. 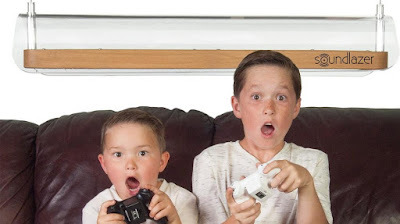 The kids learn about the real world while playing with it. You can also use its app for making a video call and chat with your kids from anywhere. More info. 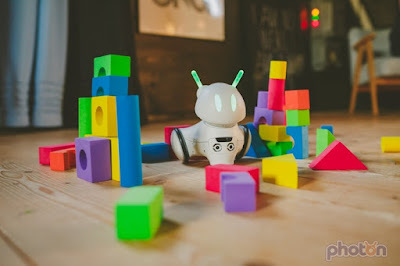 Photon: Photon robot grows with your kid and makes it easy for them to take their first steps into the world of technology. It motivates kids to gain knowledge while keeping them engaged in a fun tale. It gives kids programming related challenges. Finishing challenges awards experience points that kids can use them to unlock new senses for the robot or boost his parameters according to their taste. 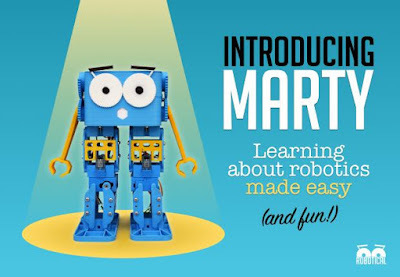 It comes with kids friendly app that let them interact with their robot and create their own programs. The language used by this smart robot is based on colorful blocks and inspired by Scratch and Google Blockly. Reserve Now: $169. Soundlazer VR: The Soundlazer VR is a directional speaker that will change how you listen to music, lets you to immerse yourself in a private soundcloud without disturbing others. Reserve Now: $229. Marty The Robot: Marty The Robot is a fully programmable and customizable walking robot that makes learning about programming, electronics, and mechanical engineering a fun and engaging process. Its Wi-Fi enabled, can be customized with 3D printed parts, and compatible with single board computers like the Raspberry Pi. Reserve Now: About $140 (£95). 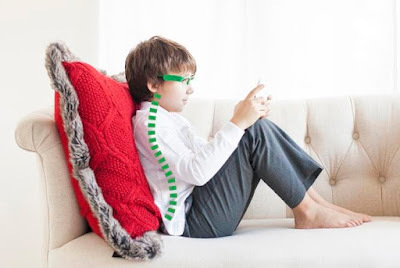 Eyeforcer: Eyeforcer is a wearable tech that monitors kids' posture as they use smartphones and smart devices. Kids are logging more hours in front of screens than ever before and this can have an effect on their health. It looks like a pair of glasses without lenses, is lightweight, durable, and comfortable and designed specifically to protect kids' backs. You can set it up using its Android app; personalize it to remind the kids about their posture. And if the kids don't improve their posture then it will shut down the program or app they are using. Reserve Now: About $94 ($120 CAD). Artesia Fun-1 61-Key Digital Piano: The Artesia Fun-1 61-Key Digital Piano is an iPad and laptop compatible piano designed to introduce your kids to music. 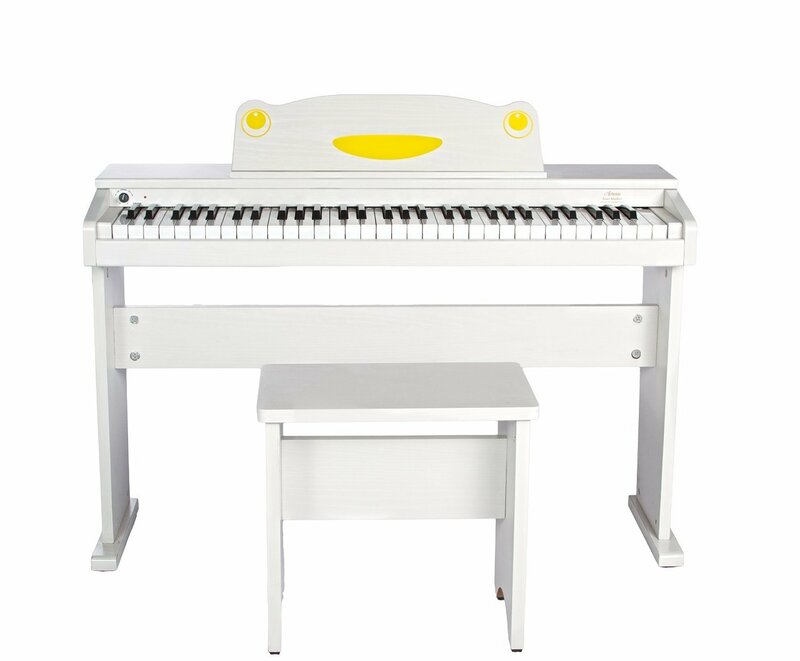 It features 2 speakers, full size velocity sensitive keys, 8 instrument voices and animal sounds. Buy Now: $249. 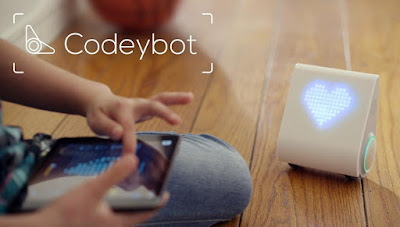 Codeybot: Codeybot is a smart robot that teaches you kids the basics of computer programming through an array of interactive features. 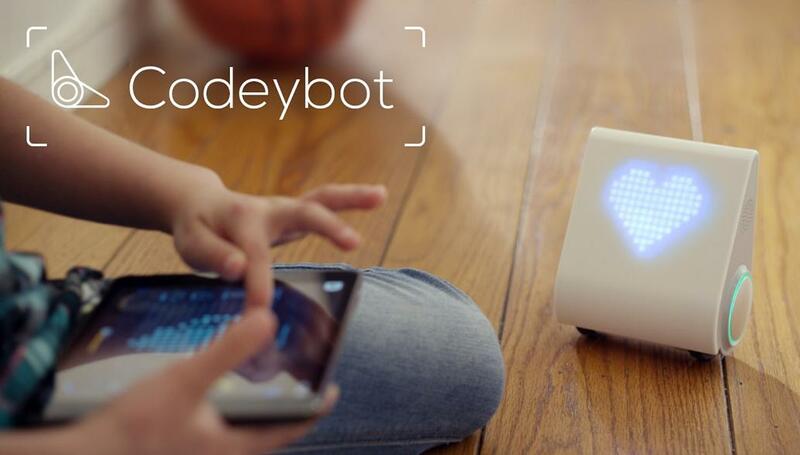 Its fully customizable robot, teaches coding, dances, plays music, and more. Pre-order. Snowfox: Snowfox is a smart portable tracker that lets you keep an eye on your kids. It features SIM card, GPS tracking, geo-fencing, two-way audio calls and a rugged design. Use its app on your iOS and Android devices to keep track of your kid's most recent location. Create geo-fencing and receive alerts when it's entering or leaving the preset locations. More info. 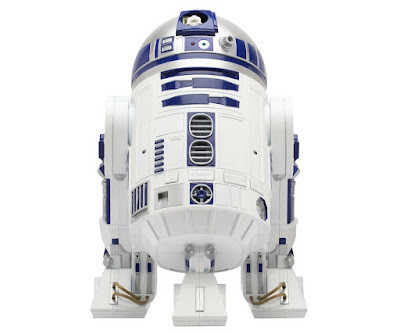 R2-D2 Bubble Machine: The R2-D2 bubble machine rotates its head 90 degrees with lights and sounds, works in 3 different modes and makes hundreds of bubbles. Buy Now: $57.50. 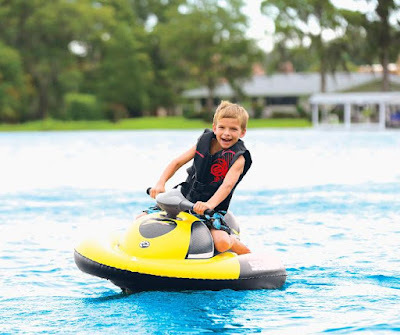 Inflatable Water Scooter: The Inflatable Water Scooter is the size of a sports bag, up and running in just 10 minutes, provides 60 minutes of fun, runs at speeds of up to 2.2 mph and can take up to 154 lbs. Buy Now: About: $353 (£ 239.95). 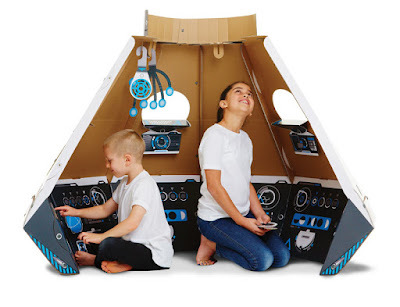 Makedo Space Pod Launch Kit: The Makedo Space Pod Launch Kit allows your kids to build their own space pod and get inside to search for new life forms and more. It comes with simple step-by-step instructions, printed and precut cardboard and reusable Makedo cardboard construction tools. Best suited for kids aged 6+, the kit allows them to develop collaboration, problem solving skills, spatial awareness and creative play. Buy Now. 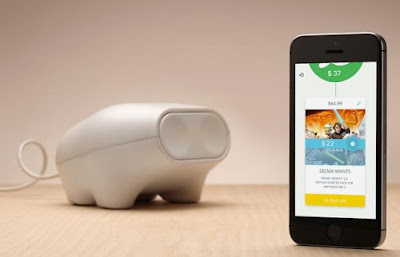 Ernit: Ernit is a smart bank that comes with an app to teach kids how to manage and save money. Using its app you can set savings goals and lets you and others to contribute money from nearby or far away. It alerts kids by making a sound when money is contributed to their savings account and its nose light shows how far they are towards reaching their goal. Pre-order. Related Posts: More Kids Gadgets: 1 | 2 | 3 | 4 | 5 | 6 | 7 | 8 | 9 | 10. 15 Cool Addons and Pockets. 15 Must Have Gadgets For College Students. 15 Must Have Summer Holiday Gadgets. 11 Smart Rice Cookers for Your Kitchen. 15 Must Have High-Tech Gadgets for You. 15 Smartphone Gadgets You Should Have. 15 Must Have Essentials For Your Go Bag. 15 Must Have Off Grid Kitchen Gadgets. 15 Awesome Gadgets For Techies - Part 4. 12 Must Have Fishing Gadgets - Part 2. 12 Cool Levitating Gadgets For The Home. 15 Coolest Keychain Gadgets - Part 3. 15 Cool Lamps and Lighting for Your Smart Home. 12 Smart and Cool Keyboards. 15 Must Have Safety Gadgets - Part 4. 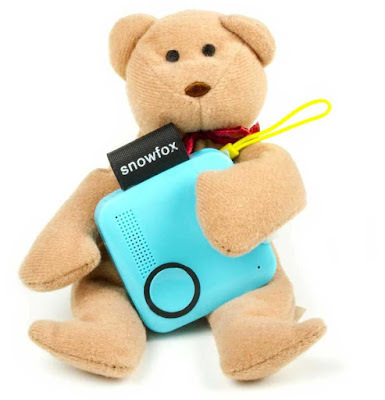 15 Must Have Privacy and Online Safety Gadgets. 11 Smart Steering Wheel Gadgets. 15 Must Have Bottle Openers - Part 8. 15 Smart Gadgets for Voice Calls. 15 Smart Home Gadgets That Make Your Life Easier. 15 Must Have Gadgets For Your Kitchen.